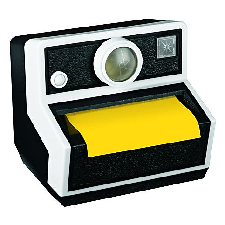 This retro camera pop-up dispenser is the newest option and thanks to this rebate, yours with the purchase of just one pack of qualifying Post-It Note products. Qualifying products range from colorful 10 packs to cabinet packs that include a handy box for easy storage. 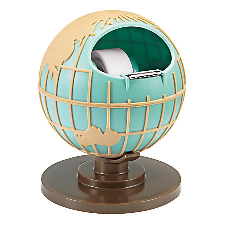 Make your desk feel a little more scholarly with this globe tape dispenser. It holds standard 3/4” Scotch Tape rolls, and again only requires the purchase of one item to claim. Items are a range of Scotch Tape multi-packs from the standard Magic tape to glossy Transparent tape to Greener tape made of 65% recycled materials. These rebates are available through the end of the year!